A series of videos owned by Jukin' Media, some of which have gone viral. 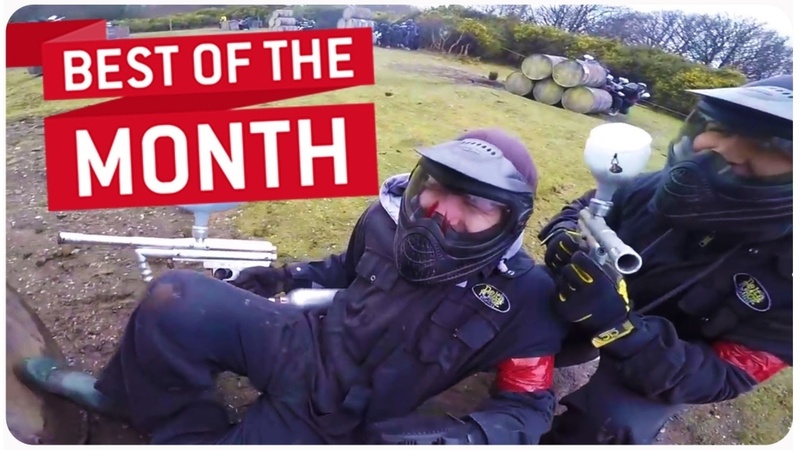 Viral videos offer a daily moment of zen, while threatening to get us all fired for laughing out loud in the office, but these days having a video go viral isn't as straight forward as just filming something silly and uploading it to YouTube. There's a whole industry of people whose job it is to help a video go viral and to profit off of its success. To get an idea of how this industry works, first we'll turn to Jared Frank, whose rise to viral fame was anything but easy — or painless. "So as far as how many views I have, it’s right under 37 million views right now. As to how I got kicked in the head, it’s kind of a longer story," says Frank. A couple of years ago when he was traveling through Peru, Frank was taking a video selfie in front of some train tracks. And he didn’t realize it, but as a train was coming by pretty fast and a guy leaned off the side of it and planted a boot squarely on his head. "I kept it for a very long time before sharing it, because as soon as it happened, I was like ready to just press the delete button because it was embarrassing," he says. But people started to watch that mortifying video, and even though it only had a couple of hundred views, he started to get offers from companies to buy it. Frank didn’t know it at the time, but these companies wanted to make his video go viral, "And at first it’s one of those things where there’s somebody on the Internet saying they’re going to give you money, so how real can this possibly be?" Real enough that he ended up signing a deal with Jukin Media, an online video licensing company. What's an online video licensing company? Every time these shows play clips like Frank’s, they have to get permission from the video owners. And if Jukin Media owns the rights to the video, they might say to the shows, "No, you can’t play it for free. Pay us from $200 to a couple grand for the rights to broadcast it, please." And in Frank's case, he walks away with 70 percent of the licensing fees, and Jukin walks away with 30. So, while Frank created the video, Jukin handles all of the licensing and business deals with people who want to use it around the world. But Jukin doesn't just buy the rights to a video and hope that it goes viral. At the same time, Jukin is always telling their media partners to check out certain clips. The clips are short but they’re great fodder for commentary, so they’re good for filling time, which is gold in broadcasting land. How are viral videos discovered? Considering there are more than 300 hours of videos uploaded to YouTube every minute, Jukin's technique is a lot less high tech than you think. They largely rely on one guy at the front lines to make choices as to what goes through. His uniform? A t-shirt and jeans. He’s got two computer screens in front of him and is in the middle of a huge office packed with 20-somethings watching YouTube videos. He has a sticky note on his computer reminding him to buy Cheez-its. His name is Nate Granzow. About the video above, Granzow says, "It was pretty funny, so I’m going to accept it." All day long, he goes through hundreds of different videos like the one of the kid on the slide. They come in via submissions. If he likes them, Jukin’ will reach out to the creators and offer them a deal, but not everything meets his standards. What makes a good viral hit? Granzow's boss, CEO Jonathan Skogmo knows, "For us, it’s got to be short. It’s got to be 10 to 120 seconds long. Second, it’s got to be shareable. It’s got to create emotion... And lastly, it’s got to be valuable. And valuable to us is that we’ve got to relicense it and repackage it for our own uses." But part of it is just about that gut feeling. It’s a pretty good deal for Jukin. Someone else is creating the content, but they run the business end of things and can make a lot of money off of licensing their more than 17,000 videos to other providers. There are other companies within the space too, like Rightster. Unlike Jukin, they find people who have content that's already doing well and partner up with them. They help them license the videos and spread their work to other platforms. They own one of the most famous YouTube videos ever "Charlie Bit My Finger," which is still making them money even though it was uploaded in 2007. What's the payoff for the video creators? If their video gets licensed on TV shows and ad campaigns around the world, they stand to make a lot of money. But most of that money comes when the video is at its viral peak. That's what happened to Jared Frank, "There isn’t a single country in the whole world who hasn’t viewed my video at least once. And North Korea has got at least three or four views. I joke with my friends that it was Kim Jong Un and his two lieutenants who watched the video or something like that." After the nearly 37 million views and licensing deals around the world, he's made more than $30,000 off of the whole thing, which he says he's using for his education. And for that, he said it was worth getting kicked in the head.